CALLING ALL BUDDING ARTISTS, WE WANT YOU!.. to design our next bout booklet cover. 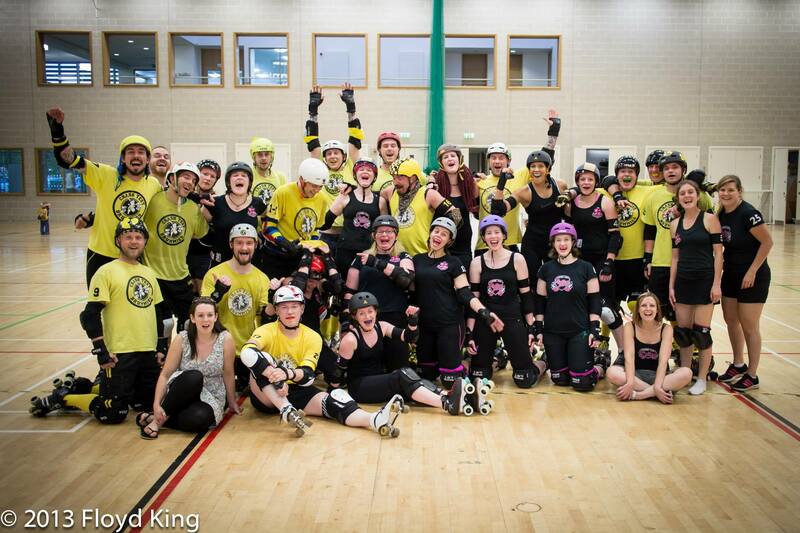 Central City Rollergirls are set to kick off their 2013/14 season with what is set to be an amazing day of derby on Sunday 15th September when the Centrinnians take on visitors from Belgium, Gent Go-Go Rollergirls. If that wasn’t enough, following this game local mens roller derby team, the Crash Test Brummies will lock horns with the South Wales Silures. 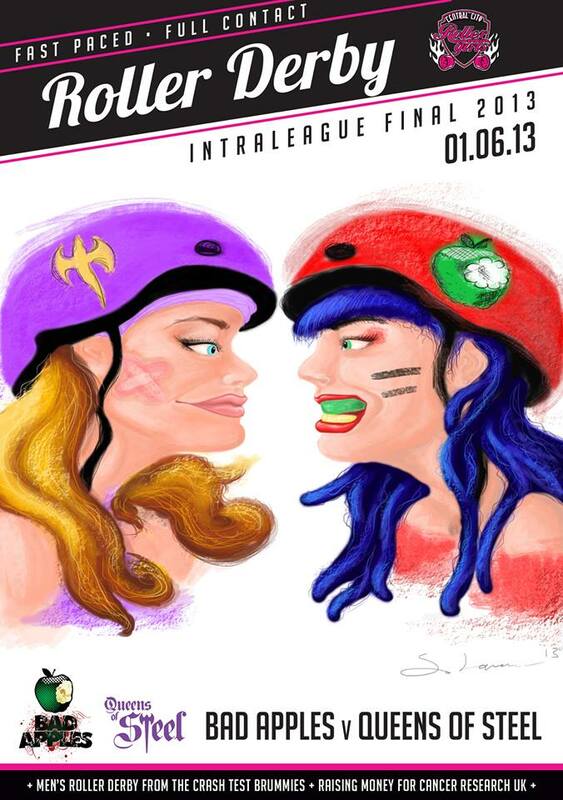 To celebrate the season opener CCR want to give one lucky roller derby fan the chance to watch the bout for free and share their artwork with the (derby) world by designing the cover of our bout booklet. There are a couple of examples of previous covers at the end of this article and for inspiration the links above should take you to the websites/facebook pages of the teams competing on the day. We can’t wait to see your creations for this Welsh/English/Belgian face off! Who can enter? There is no age limit on entrants so you, your nan, your newborn and your neighbours cat can enter (although I’m not sure pets would be able to draw – opposable thumbs to hold felt tips with and all that). When does my masterpiece need to be finished by? Entries should be emailed to CCRCompetitionEntries@hotmail.com by the end of August (Saturday 31st 2013) as an attachment (scanned in if necessary). Please put your preferred contact details in the body of the text as we may need to contact you for original drawings. What can I win? 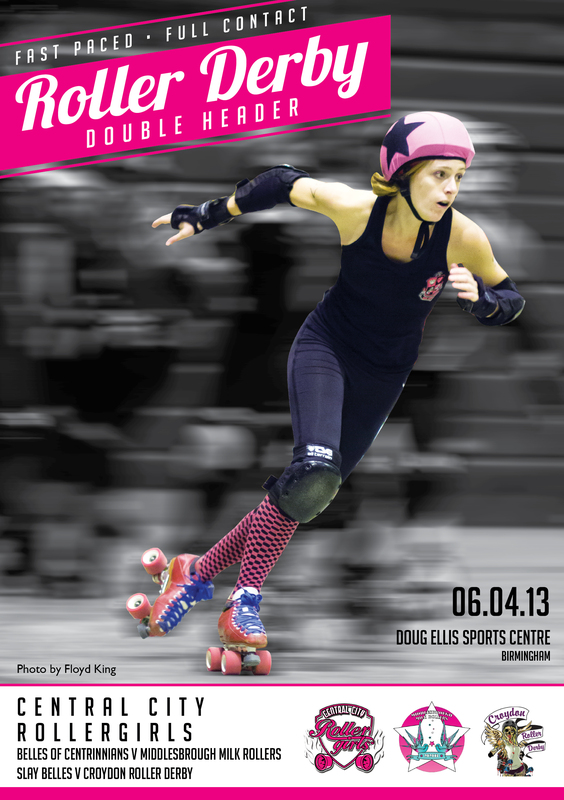 Alongside the pride and joy that would come along with having your artwork adorn the cover of the bout booklet, you will also get two free tickets to attend the bout and a CCR tee to watch it in! Awesome, do I need to know anything else? On September 15th the fun starts at 1pm at Doug Ellis Sports Centre, BCU City North Campus, Perry Barr. More details are available on the facebook event here. Winners will be contacted week commencing 01/09/2013 – we can’t wait to see the entries! Good Luck! This entry was posted in Competition, News. Bookmark the permalink.